Anterior nasal spine is a pointed midline anterior protrusion of the premaxillae at the lower margin of the nasal opening. 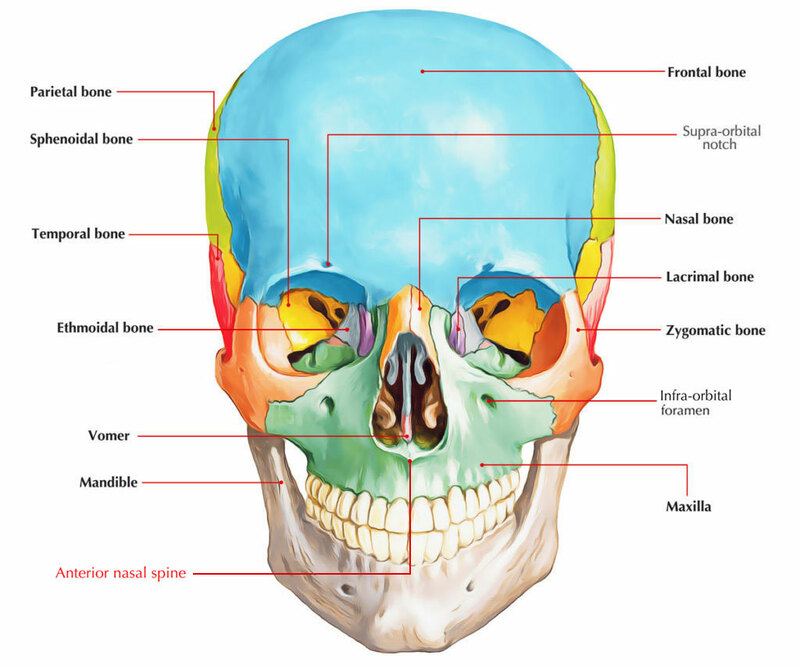 Through a fibrous connection of periosteum along with perichondrium, the nasal septum is firmly attached with the nasal spine as well as the maxillary crest. According to the shape and size of the anterior nasal spine the footplates of the medial crura are positioned. On both parts of it the nasal spine has the footplates and thereby, it can determine the nature of the footplates as well as columella. Nasal spine is occasionally eliminated in order to make the nose short or in order to reduce the projection of the nose. The upper lip becomes straight and it connects the bottom of the nose at a more specific angle after elimination of a large anterior nasal spine.